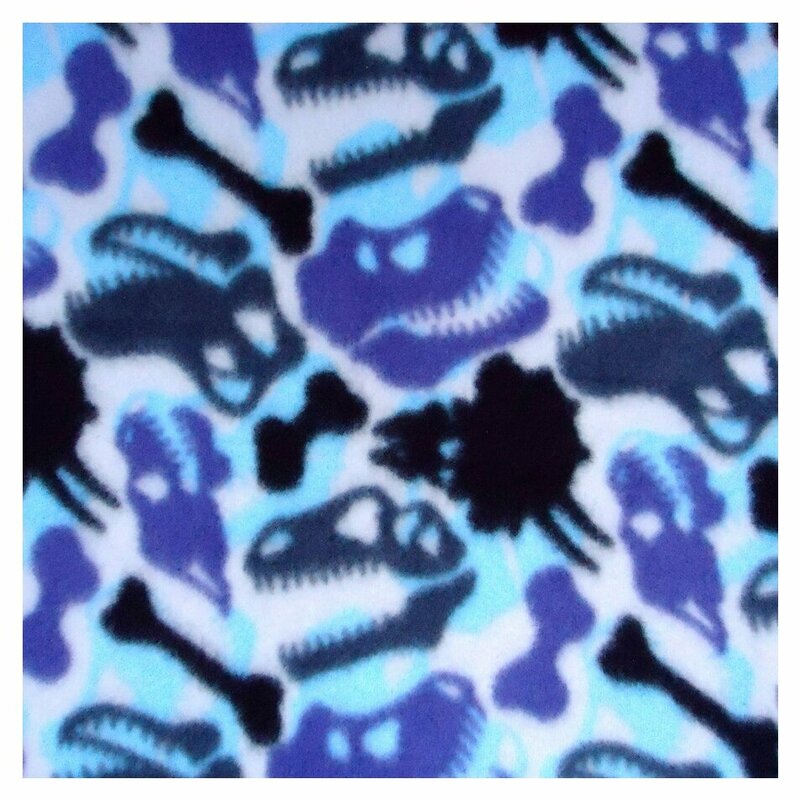 My ten year old's interest in all things Jurassic happily shows no sign of abating, so when I found some polar fleece fabric printed with dinosaur bones in Brighton's Fabric Land, I knew what I had to do. 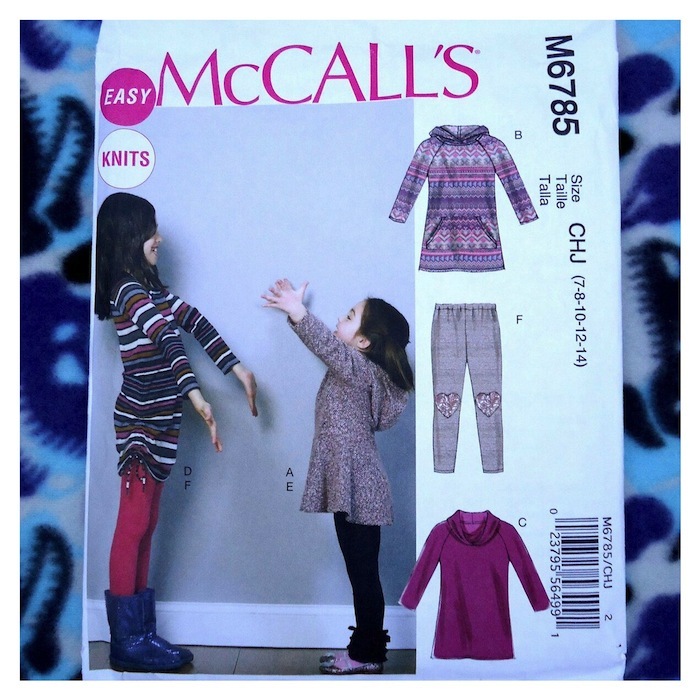 For this, her second dinosaur dress, I used McCall's M6785 girls' sewing pattern. 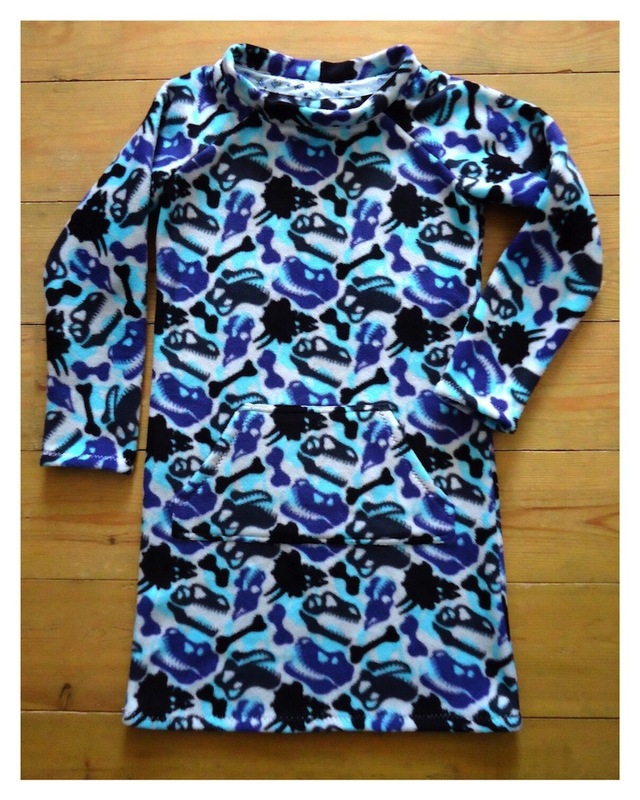 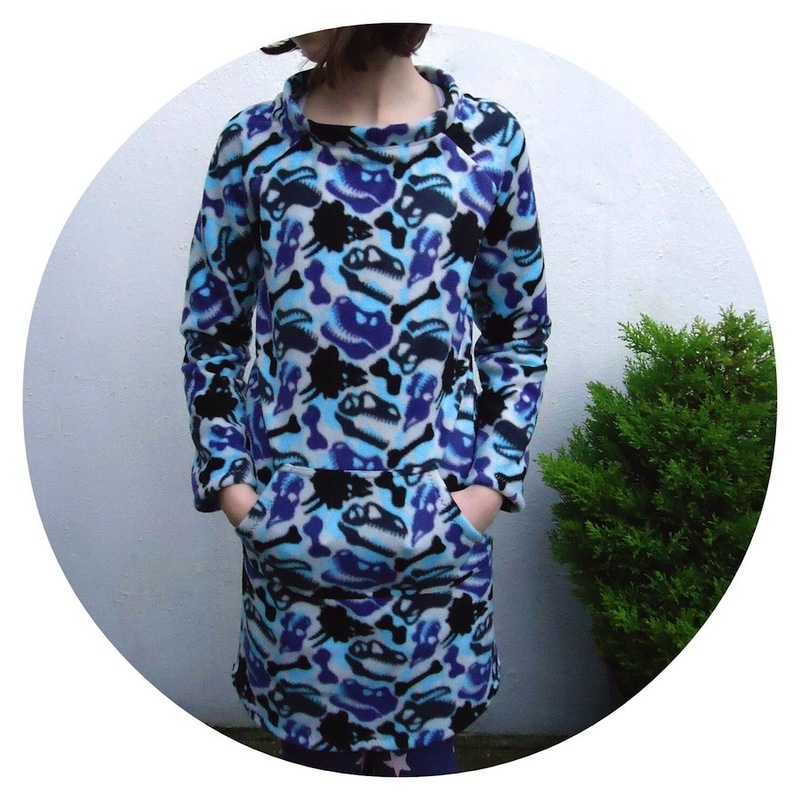 The pattern has four versions of a simple pullover dress (and leggings) and is designed for stretch or knit fabrics. 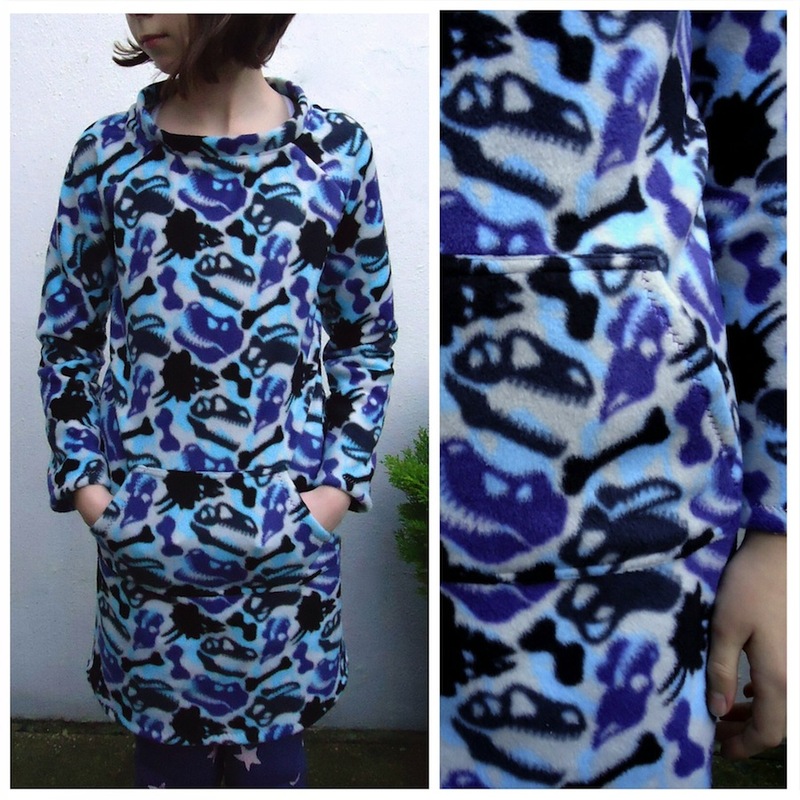 I modified the pattern to suit the fleece, so made the dress with a shorter stand up collar (model C) and added the kangaroo pocket (from B, the hooded version of the dress). 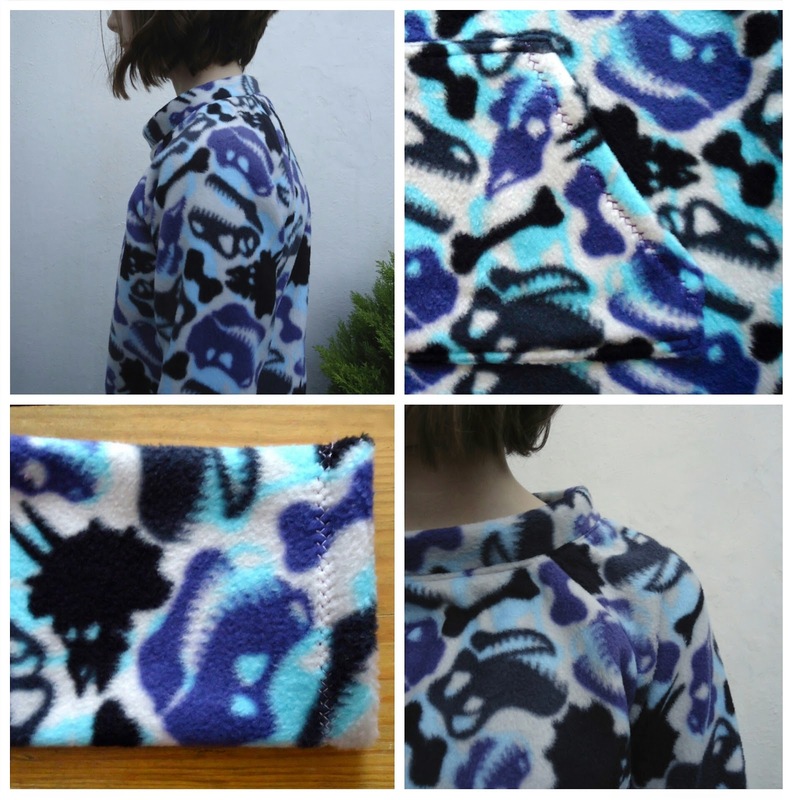 M6785 is easy to make – just like it says on the packet – and the sizing is a good fit too. 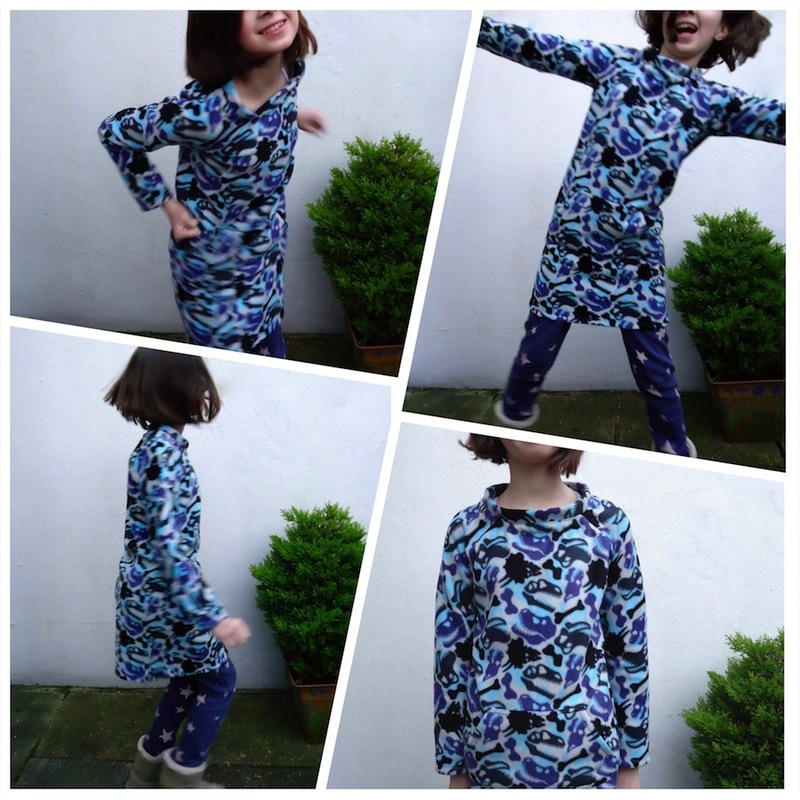 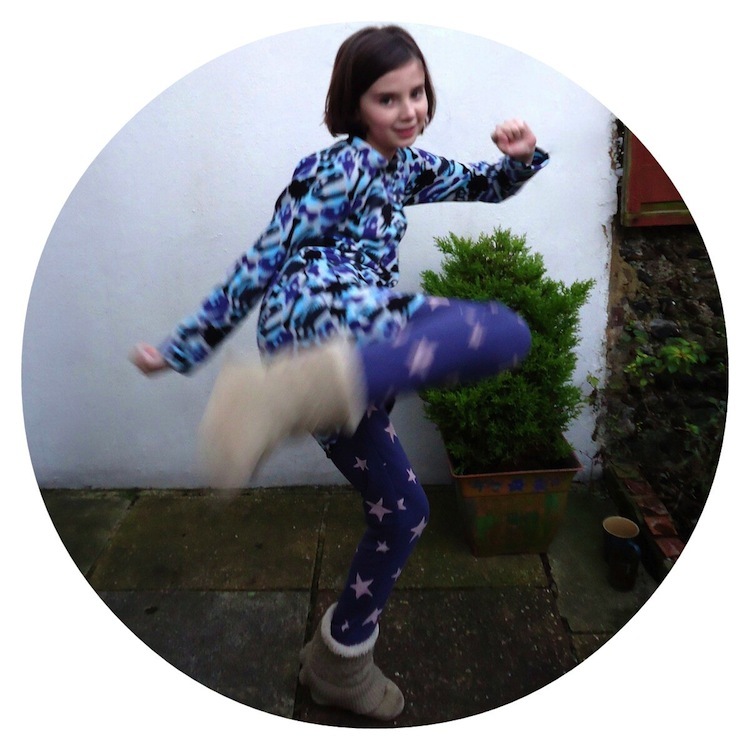 The dinosaur fleece fabric looks fab as a dress and is a lovely snuggly thing to wear – I'm pleased to report that this junior palaeontologist loves it!